Congratulations to Kiron Lebeck and Lucy Simko for their excellent talks at the IEEE Symposium on Security and Privacy (Oakland) this week! 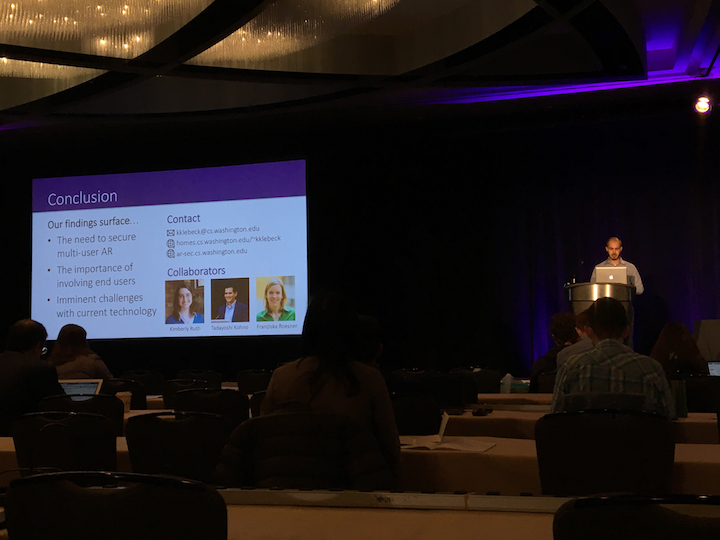 Kiron presented his work “Towards Security and Privacy for Multi User Augmented Reality: Foundations with End Users”, in collaboration with Security Lab undergraduate Kimberly Ruth and faculty members Yoshi Kohno and Franzi Roesner. You can watch the video of Kiron’s talk here and read the paper here. 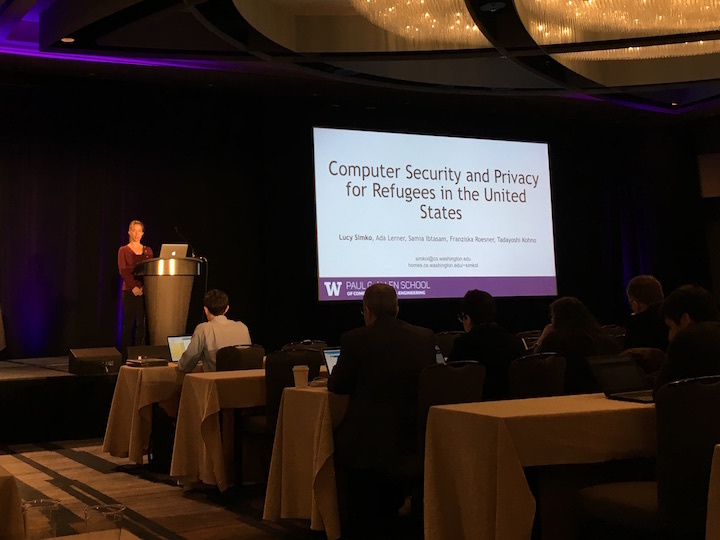 Lucy presented her work on “Computer Security and Privacy for Refugees in the United States”, in collaboration with Security Lab alumna Ada Lerner, Samia Ibtasam, and Security Lab faculty members Franzi Roesner and Yoshi Kohno. You can watch the video of Lucy’s talk here and read the paper here.